FREEBIES for Returning to School after Winter Break!!!! I cannot believe it is time to go back to school already. I feel like we just got out for break. I am excited to see the teachers and students and get back into the coaching routine. 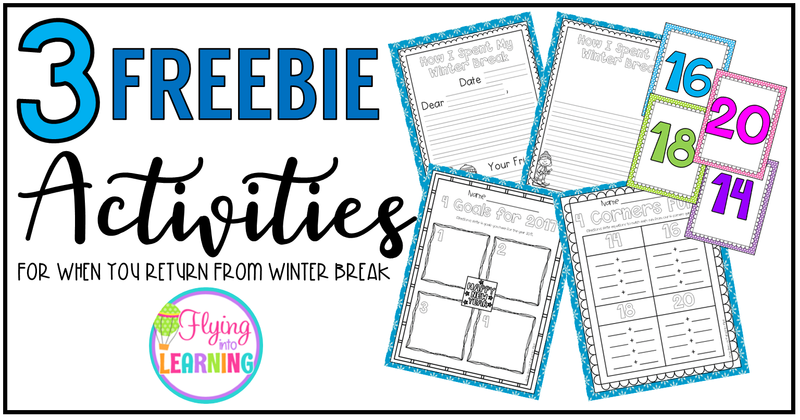 I hope you enjoy these activities and FREEBIES that can be used this week for fun as we get back into the swing of things. I hope you have a wonderful time back to school!!! Students can pair off in groups of twos. 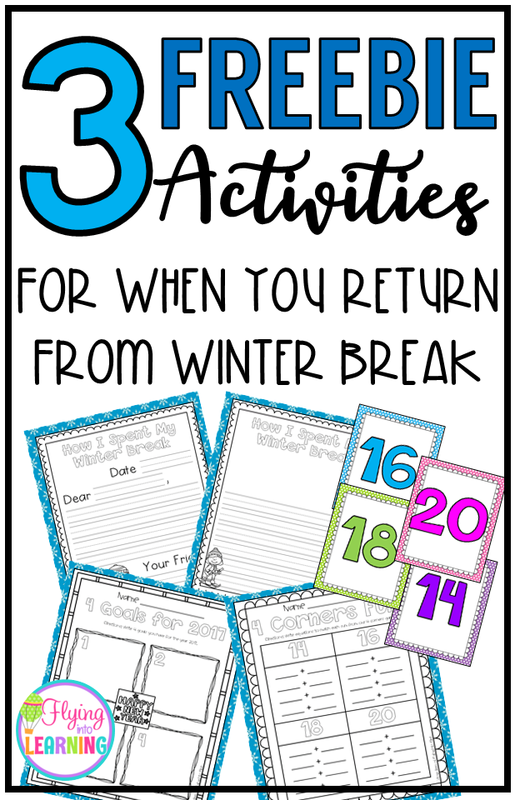 Each student will write a friendly letter to their partner explaining what they did over winter break. When finished, students can share their letters with their partners. I also attached a writing template if you would just like to do a partner writing activity. This was a favorite game in my classroom. It will get students up and moving out of their seats. I am putting a twist on it to make it engaging and academic. Use these 4 numbers below and put one number in each corner of your room. Then tell the students to choose a corner of the room(number) and stand in that corner. The teacher will say a math fact. For example "Teacher says 14+0" Any students in the 14 corner are out and must return to their seats. Remaining students can then pick another corner of the room(number). Then "Teacher says 7+9" Any students in that corner are out and must have a seat. The game keeps going until there is only one student remaining. When students get out have them use the recording sheet below to write equations that match the correct sum that they hear the teacher say as the game is completed. This is going to be a lot of fun!!! Read with fluency and expression. Next, have students set some individual goals. Students can use the template below to write 4 goals for 2017. 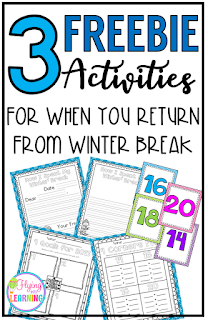 I hope these activities will be beneficial in your classrooms this week!!! Click HERE for the freebie!!! Have a great Week!!!! We can do this!!! Don't forget to pin for later if you need to with the image below! LOVE the four corners game! I haven't seen it played like that though!! Sounds like fun. Thanks for the idea! Thanks a ton for these idea of freebies for returning to school after winter vacations. This is indeed a great idea and I would like to use it in my Phoenix kindergarten class. I am glad that the download link is still live.